Home repairs are a common allegory for a relationship’s challenges and rewards. And floating merrily down the stream often represents life’s journey. But home repairs on a floating house? Paris-based agency BETC is betting the mixed metaphor will resonate with homeowners and the do-it-yourself crowd in a stunningly beautiful film for international home improvement chain Leroy Merlin. In the 2-minute spot from BETC Shopper, the agency’s retailer unit, a couple applies the usual elbow grease required of a fixer-upper, all while the entire, foundationless building drifts across a vast ocean, weathers squalls and narrowly avoids being dashed to pieces against treacherous shoals. "When you start working on your house, it can take one month, three months or six months. It’s an adventure," said Olivier Apers, executive creative director at BETC. "You go through unexpected turns, happy moments, doubts, failures, hopes and achievements. We were looking for something both spectacular and poetic." 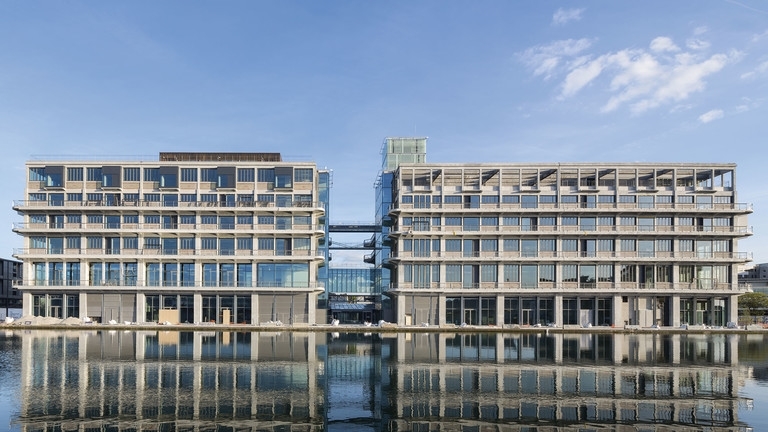 Perhaps the agency’s new headquarters in a Paris suburb offered a bit of inspiration, too. Eight years after selecting the site—once known as "the cathedral of graffiti"—BETC completed renovations on its own fixer-upper. Its 900 employees moved in last September, and the restored building looks, from a distance, like it’s floating on the nearby canal. 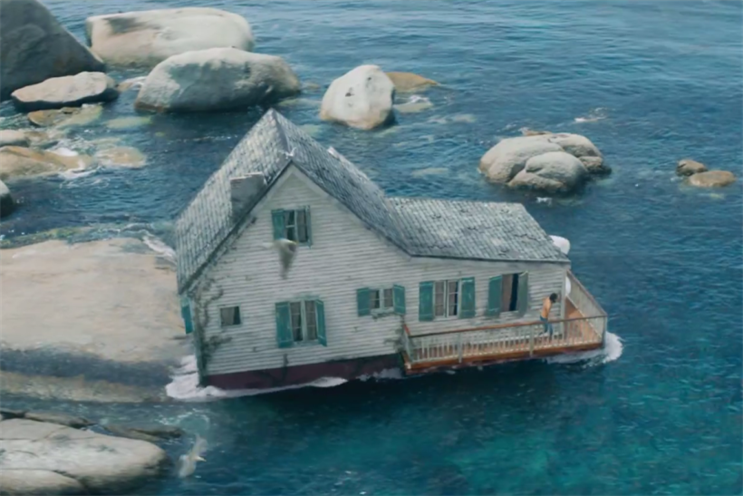 But the journey of the house in the "Life's Adventure" spot is far more harrowed. It’s not an easy, overnight renovation filled with tropes like painting each other’s faces or product shots. "More than scenes of renovation, we wanted to show scenes from real life," Apers said. "When you plan to renovate your house or your flat, you will go through many phases, and not all of them are joyful. Sometimes, it gets hard. Sometimes, you love each other. Sometimes, you yell at each other. We tried to keep it as real as possible." The production process was equally focused on authenticity. Director Reynald Gresset and production companies La PAC and Gatehouse Commercials relied on extensive set builds rather than CGI. Divers filmed the underwater shots, and a drone and a helicopter filmed the flyovers. The house itself was shot in natural light, on location in South Africa. For the oceangoing scenes, the team replicated parts of the house on a barge. "I was inspired by the 'Up' Pixar movie," Apers said, "with this little house floating in the air hung by colorful balloons," as well as Terry Gilliam’s 1983 short "The Crimson Permanent Assurance," an equally physical film. Interior scenes for the ad were shot twice, once in a normal studio and again on a mobile set built to simulate the rolling motion of the ocean or the sudden lurch of a storm. For the actors, it was like using "sets placed on half-spheres," Apers said. Since each scene in the film represents a different day, they also had to go through more than 100 costume changes. "We only had to use CGI for the scene when the house sets off and for the scene of the storm," Apers said. 8VFX Studio in Los Angeles created the computer-generated imagery. The full, 2-minute, English-language version of "Life's Adventure" debuted Monday on Facebook, said Carole Penillard, associate director at BETC Shopper. Four days later, a 45-second cut will run on TV and in cinemas, followed by the release of a 30-second cut and 25-second brand films. Leroy Merlin has been a BETC client since 2013. The agency is in charge of strategic support and creative development for the retailer’s brand campaign and brand platform.